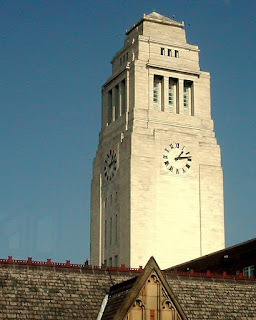 The Parkinson Building at Leeds University is considered to be the symbol of the university: it is also part of the graphical representation of the university logo, it therefore denominates the ‘brand’. 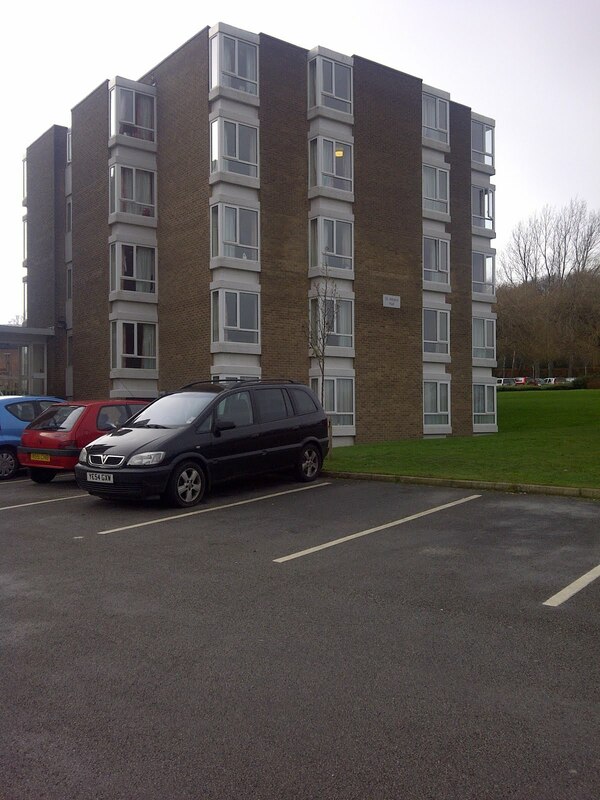 What I propose to do is demonstrate how Martin Heidegger’s “temple-work” (2000, p.91) could be theoretically applied to the Parkinson Building. I believe that this approach is more productive in demonstrating the ideology behind the architecture than using the model that Heidegger applies to art. With the coming of the temple, housing its image within it, itself developed as a sculptural embodiment of the god’s presence and character, the meaning becomes double, both of the deity as in nature and the god as imagined by men. (ibid.). Temples were built to please the deities and became the earthly representation of the gods in manifest form, thus becoming a focal point for the citizens and highlighting its centrality to their lives. In his essay ‘The Origin of the Work of Art’ Heidegger makes it clear that the temple reveals little in terms of its content. It is what it represents that is important because “god is present in the temple.”: it is this understanding and the power invested in the object by the people that designates its authority. 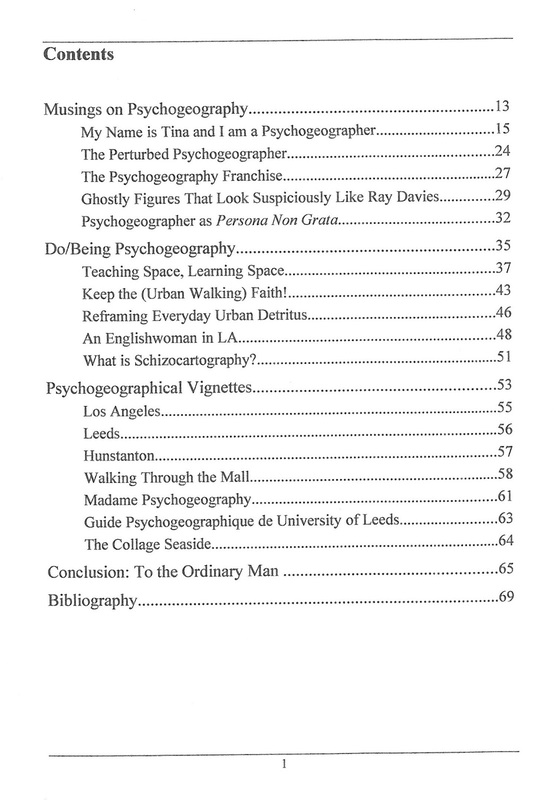 (2000, p.89) According to Heidegger the temple’s centre of power forms the nexus for the connections and relationships which guide the lives of the people and frame their future (ibid.). Friedrich Nietzsche also discusses how the creative drive behind a work of art, in the sense of its “completion and consummation of existence, and as a guarantee of further existence”, is the very same drive as the will that gave rise to the notion behind the realm of the gods (1956, p.30). He explains how this reciprocal process imbues the gods with a power that offers itself back to the people, it thus becomes a “transfiguring mirror” (ibid.). 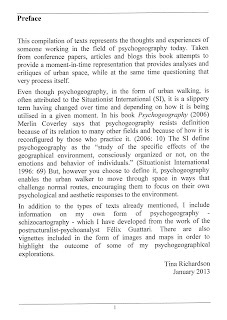 It is this self-reflexivity I would like to concentrate on here, and how the ideology behind it informs the aesthetics for the individual. 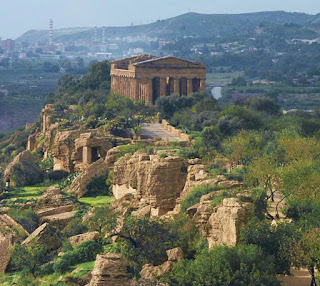 The temple serves many functions: it constitutes the law, society and culture; it is the central point of socio-cultural connections; and it is also the originator of truth and knowledge, because it “makes visible the invisible” (Heidegger 2000, p.89). The temple could be compared to the theological ‘ground of being’ in that it is the whence from which everything emanates and that in which everything returns. 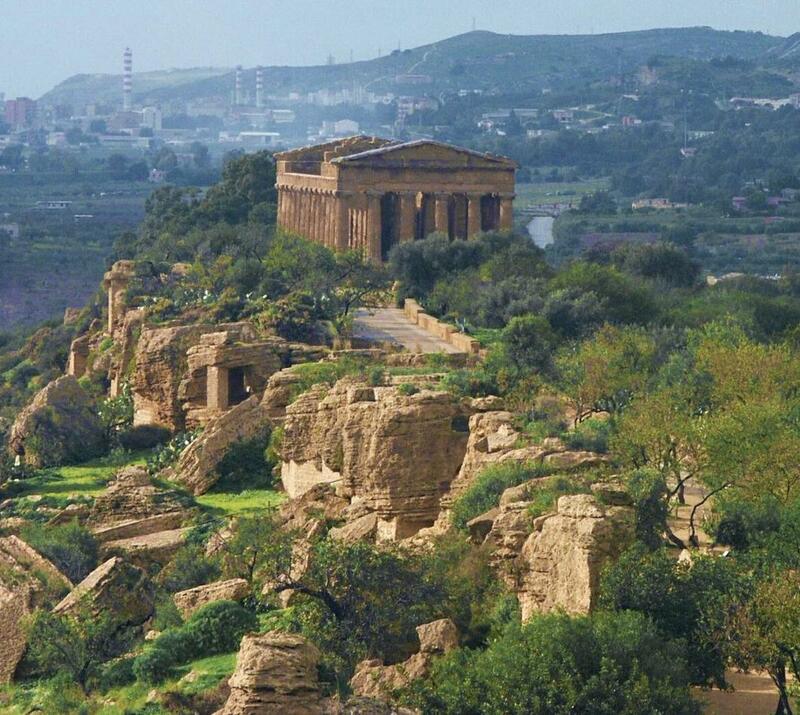 As Heidegger explains, the early morning light lands on the temple marking the beginning of the day to the people; the form and order of their world is thus defined and the citizens go about their day within this pre-given framework (ibid.). Later the sunset signals the closing down of the world, and the people return home having made meaning and sense out of their day: “the naming power of the word.” (Heidegger 2000, p.91). Tomorrow brings a new dawn and the process begins again. Michel Foucault explains how in this period of history “The universe was folded in upon itself: the earth echoing the sky, faces seeing themselves reflected in the stars” (2005, p.19). In ancient history the world was smaller, social relationships were well-defined and prescribed boundaries were clearly delimited. At this point I would like to jump ahead about three thousand years and introduce the Parkinson Building at the University of Leeds. 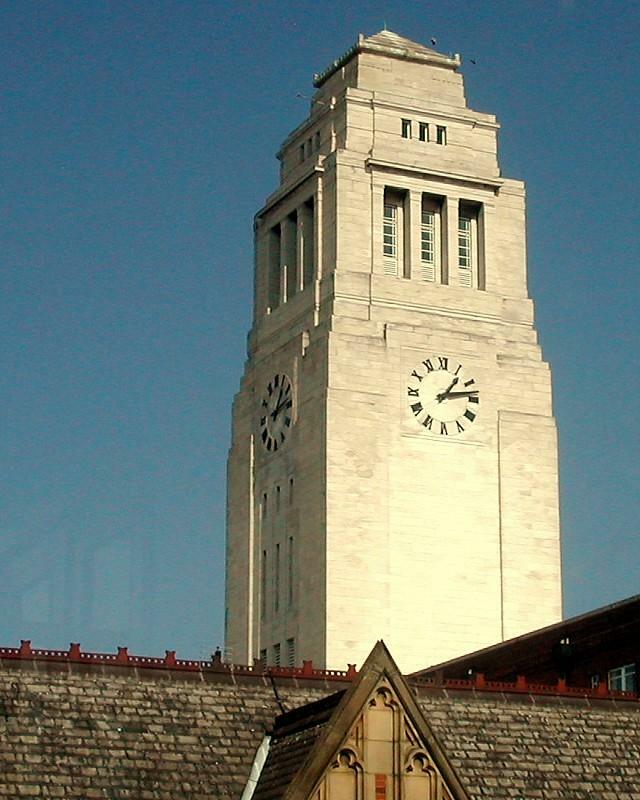 The Parkinson Building was funded by a £200,000 donation from the local industrialist Frank Parkinson who was educated at the university (Gosden and Taylor 1975, p.166). The Parkinson Building superseded the Brotherton Library as the new frontage to the university. Funding was short when it came to completing the entrance to the Brotherton Library and when Parkinson’s welcome bequest arrived a much grander façade was planned (ibid.). Thus, the exterior of the Brotherton Library became subsumed in the Parkinson Building and now exists in a kind of enclave - today it can only be seen through the windows at the rear of Parkinson Court and via other surrounding buildings. The students of postmodernity can peer back though history from the position of the current symbol of the ‘temple of knowledge’ and view its past incarnation, the Brotherton Library: yesterday’s version of truth. This confirms Győrgy Lukacs point that a work of art as well as showing a new order of things, replacing an older one, will at the same time have an ideological effect (cited in Rieser 1957, p.239). The Parkinson Building was designed in the 1930s. The architecture highlights many Art Deco qualities, for instance horizontal lines and Neoclassical elements, but is not as highly decorated as some buildings from the same period. It could be considered to be one of the “stone-sheathed giants” (Bayer 1992, p.7) that were erected in urban areas at this time. The University of Leeds sits on a hill and upon approaching it from the south the imposing Parkinson Building fills your vista. 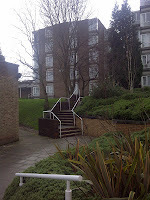 The symmetrical building has a centralised entrance with steps leading to a number of doors. A substantial phallus-like clock tower, reminiscent of many office or industrial buildings of that period, crowns the building. The Parkinson Building was not completed till 1951 due to a suspension in building during the war period. It is clear from this request, and from the planned grand entrance for the Brotherton Library, that the Parkinson Building is designed to be impressive and make a statement about the university. This demonstrates an ideology inherent in the architecture itself; an ideology that becomes part of the very fabric of the building. As G. W. F. Hegel states, architecture can build meaning into its very form and material (2000, p.47). Heidegger explains that in this process the material is “set forth” and in its “consecrating praising erection” the temple is then “setting up a world” (2000, p.91), as we can see reflected in Parkinson’s comments above. When it comes to cultural objects we could say that the glue of matter and creation is form, and that very form is ideology itself. 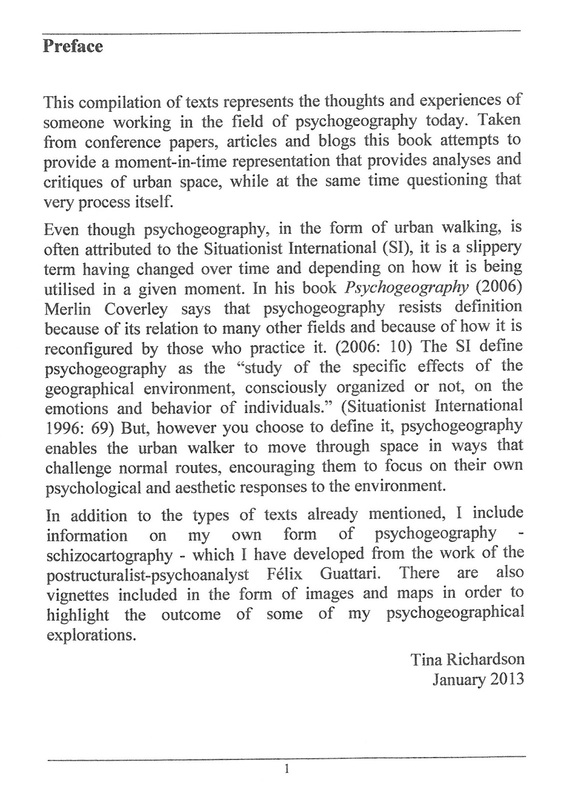 Tina Richardson discovered psychogeography while studying the Situationist International. 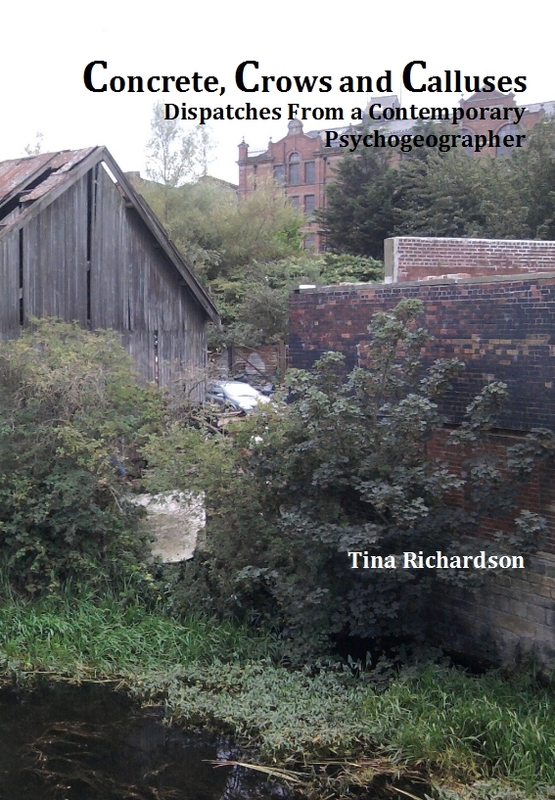 Her own interest in this particular form of urban exploration comes from attempting to challenge both the homogenising effects of urban planning and the way power is manifest in urban space. 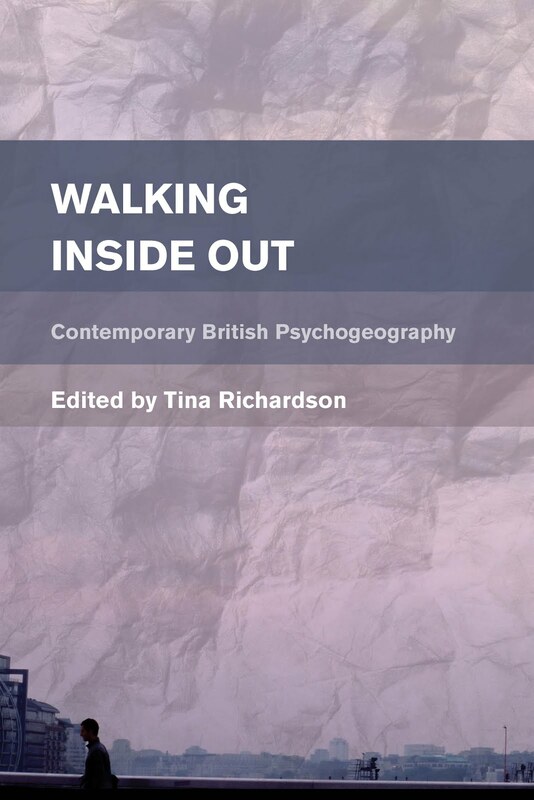 While Tina is particularly interested in the marginalisation of specific social histories, she also believes in the accessibility of practices that come under the general umbrella of psychogeography. 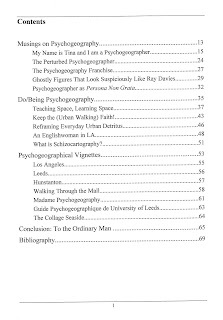 Below you can read the preface and contents page . 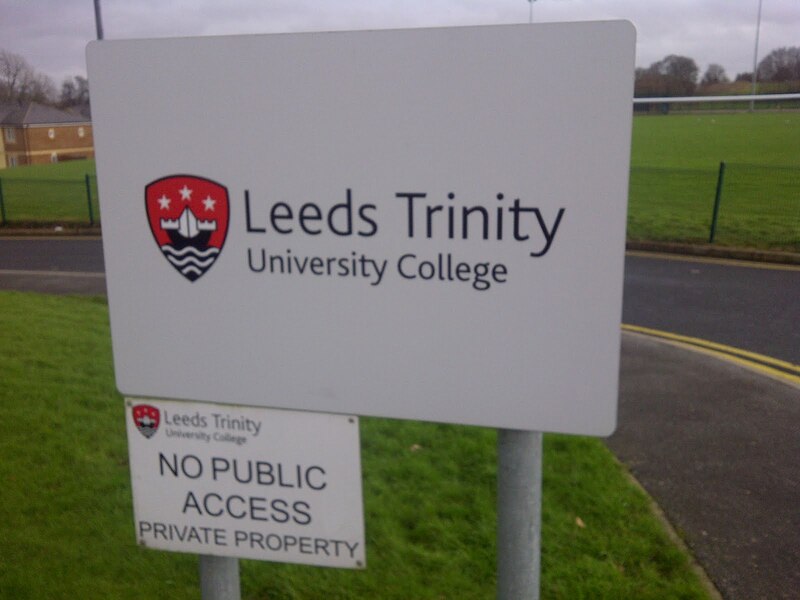 . .
Last Sunday (3rd February 2013) I went to investigate the topography of Leeds Trinity University College campus. It is about 30mins walk from my own house in Horsforth. 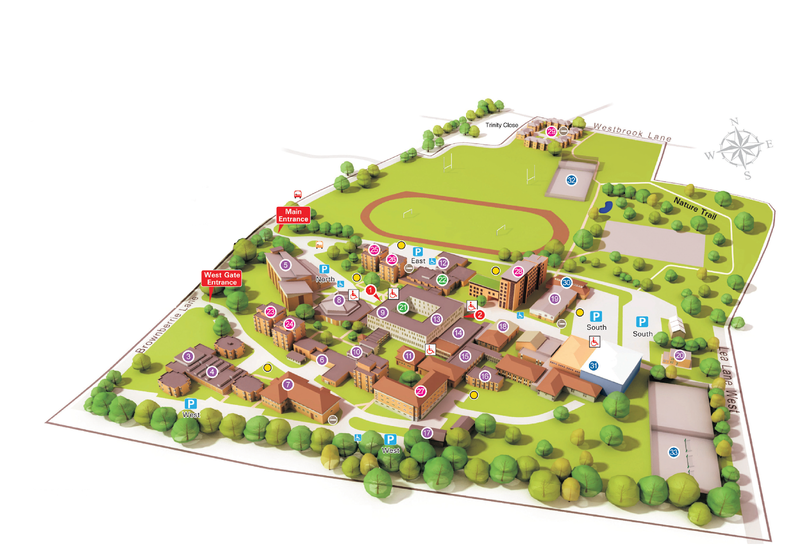 As you can see from the map below, a large proportion of the campus is dedicated to playing fields and sports facilities. 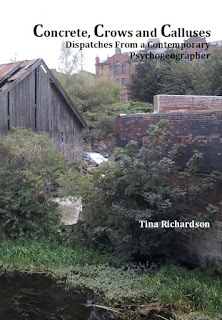 The map also shows a nature trail which I hadn't noticed when I was visiting (note to self: revisit needed). 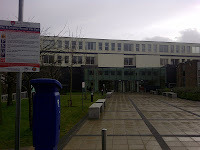 Below is the main building on campus. 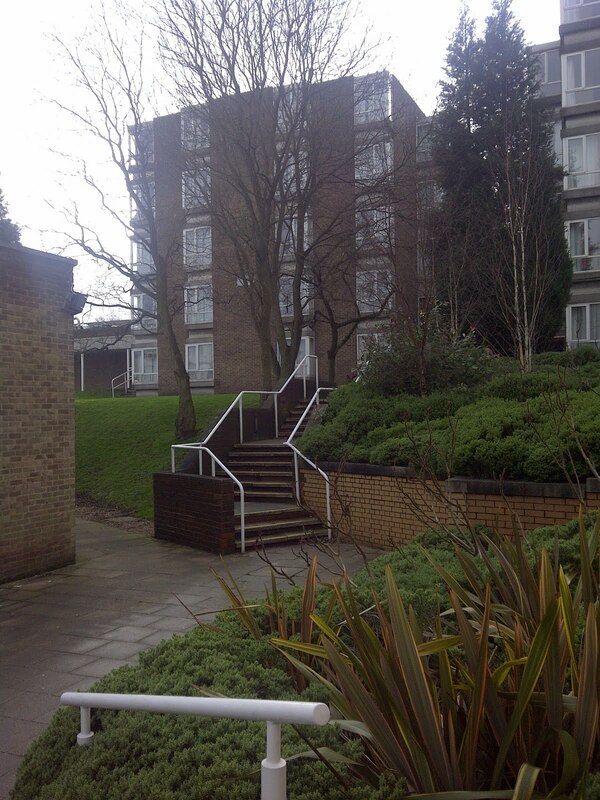 This is where the reception is located. On the map it looks huge (it is the large square building with the courtyard in the middle - the size of the Pentagon! ), but on the ground it seems much smaller. I went in to ask at the security desk if there was a cafe open at the weekends, but there isn't. However, on paying a few pence, the chaplaincy will let you make your own coffee in the chapel kitchen. Very nice!! 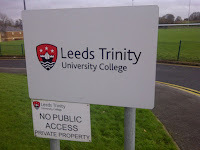 Leeds Trinity University has undergraduate courses such as Accounting, Business, English, Journalism and Media. It recently achieved university status (2012) and can now bestow its own degrees. They have also just rebranded, to account for this (big banners at Horsforth train station). The news du jour on their website states that applications are up by a whopping 61%! My guess would be that this has a lot to do with the recent hike in tuition fees, making it far cheaper to gain higher education locally, while still living at home. That and the fact that student fees there are £8,000 (I am loathe to say 'only'). While this is still a huge amount, it is less than the fee at most other universitys. 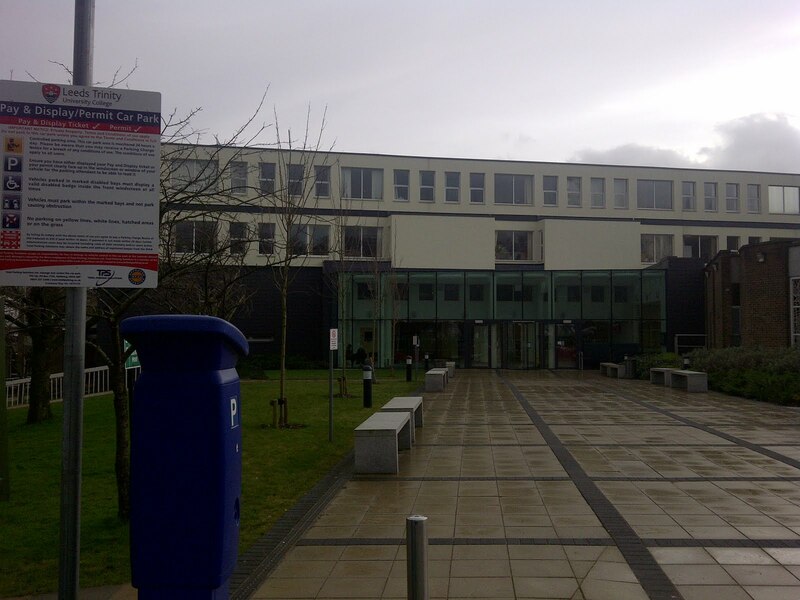 The campus is an interesting place, a modern suburban college-university on the edge of a small town, Horsforth (Leeds, UK). However, I hardly ever seem to see the students around in the local High Street when I am up that way, even though it is only a short walk away from the campus. There is also a neat little Trinity bus (free, I think) that does a regular circular route around the area. 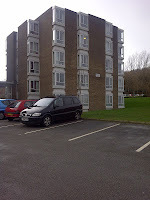 I feel that there are a good number of students at the university, not just going by the large selection of courses, but also because of the many halls of residence based on the site (see below). So where do they hang out?? ?